Everyone remembers when Harry first entered Hogwarts and his experience with the sorting hat in Harry Potter and the Philosophers Stone. Given that being a professional wizard is not on the list of realistic career options in the “real world”; I am making certain that if I must be a ‘Muggle”, that I am going to be one who fills it with as much magic as possible. Hence, when Vamers Store added these Hogwarts Houses Makeup Brushes Inspired by Harry Potter, I knew that I had to have them! 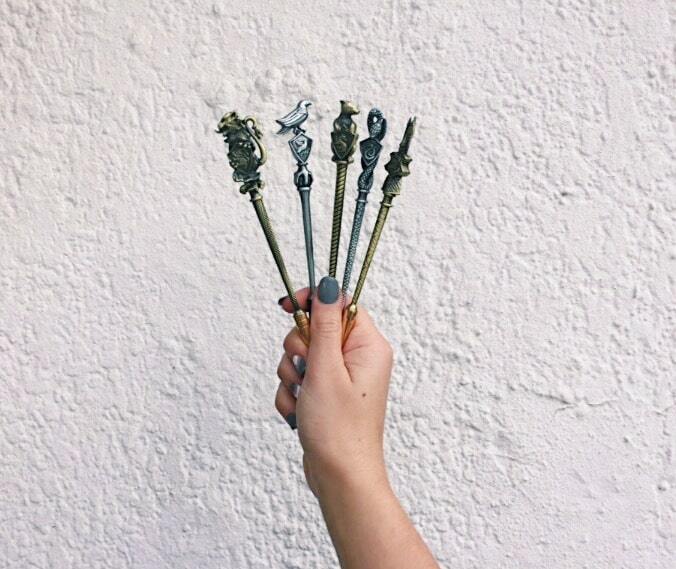 There is no doubt in my mind that putting on makeup with these brushes will make my day even more magical than normal. Also, I am secretly hoping that they will help give me that ‘Hermione Yule Ball’ look. You know, instantly fabulous! Although I am by no means an expert when it comes to makeup, I do like to consider myself relatively adept at it. With that said, I did receive a complimentary set of Hogwarts Houses Makeup Brushes from Vamers Store. You know, for review and to geek over (thanks Hans). 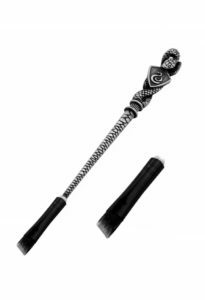 Ravenclaw House Brush: Small round tapered crease brush – This brush is used when applying shadows for a “cut-crease”. The short round bristles are perfect for creating that soft winged-eyeliner or shadow look. 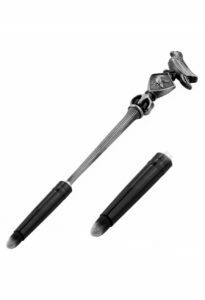 Slytherin House Brush: Angled eyeliner/brow brush – This brush features a slanted edge, for the purpose of creating a smooth and even application of eyeliner. It is perfect for creating a winged eyeliner look. However, I would not recommend using this brush for your brows in pomade, as the bristles are a little too soft for that. 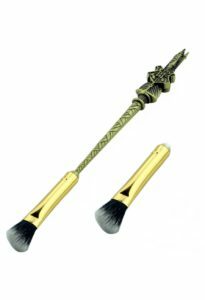 Hogwarts School: Angled blending brush – This brush is perfect for those crease shadows and even blending them out. I found that this eyeshadow brush is really great for applying highlighter on your cheekbones, cupids bow and brow bones. 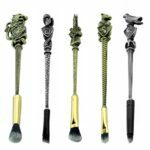 Hufflepuff House: Eye shadow base brush – This brush is perfect for applying primer or concealer to your eyelid before you begin your eyeshadow routine. This brush is also really useful for applying shimmering shadows. 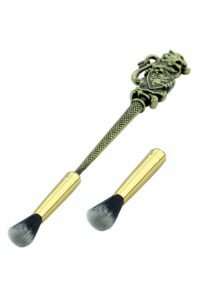 Gryffindor House: Fluffy rounded blending eye shadow brush – This brush is ultimately meant to blend the colour seamlessly in your crease, but also can be used with a tradition shade over the edges so there are no harsh lines. 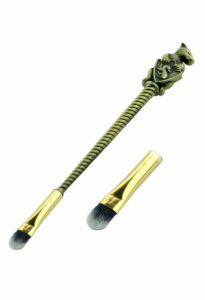 Since I now had the Hogwarts Houses Makeup Brushes in my muggle possession, I decided to give them a magical whirl. When I first held the brushes, the first thing I noticed was how heavy they are. Especially by the handles. So it does take a few seconds to adjust to the weight when applying makeup. I used every single magical brush and I found that they applied the makeup smoothly. The tips of the bristles are bleached so they appear to be duo fibre brushes, but they are not. 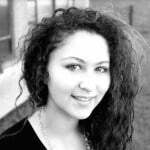 However the bristles are synthetic and soft and they do not irritate the skin at all. Although the applicators are good, and product can be applied smoothly, the brushes themselves are a bit bulky. With this in mind, I wouldn’t recommend travelling with them. However, these brushes look so great on my makeup stand that my friends always go crazy the moment they see them. Mind you, I do too whenever I use them. Even though my house is Ravenclaw, I not-so-secretly slightly envy everyone (*cough* Hans *cough*) for being sorted into Gryffindor. It is also the house that Hermione was sorted into. So to test these brushes, I decided to attempt something different. 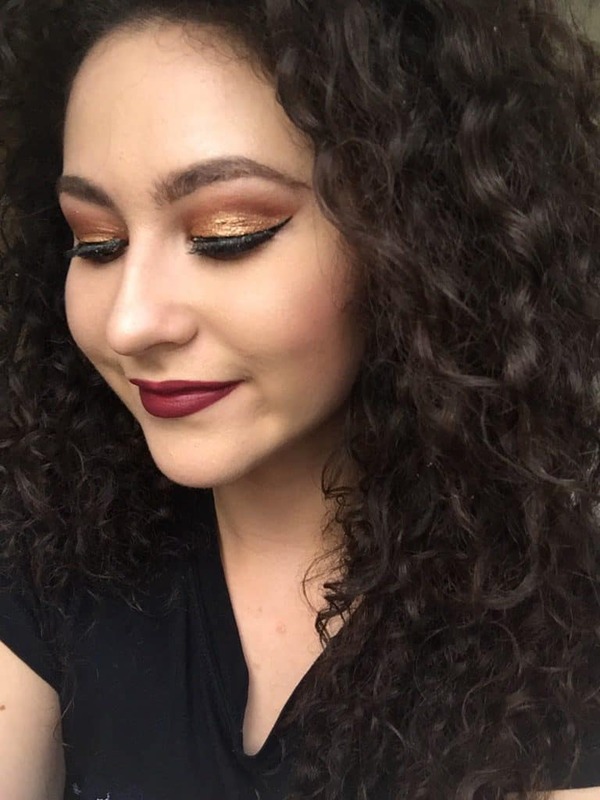 Instead of re-creating the beautiful and subtle look that she wore to the Yule Ball, I decided to rather attempt a Gryffindor house colours inspired makeup look. I must be honest, this look was difficult to pull off, especially because Gryffindor’s colours are red and gold. Colours I do not have in my palette (I know, shame on me). Given my limited eye shadow colour range, I used more of a maroon shadow and blended it with browns before topping it off with the crimson gold. 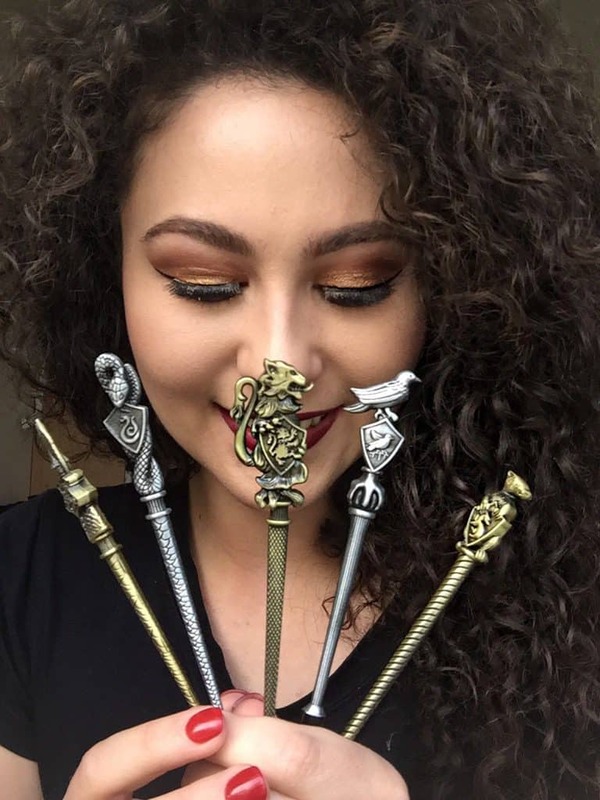 I honestly had so much fun doing my makeup with these Hogwarts Houses Makeup Brushes. It made for a magical experience. One that was enhanced by how gorgeous and, the most unexpected part, how well made they are. They are good quality brushes. In hindsight, I did find that I struggled to pick up the shimmering crimson gold with the Hufflepuff base eyeshadow brush. Mind you, this issue had nothing to do with the quality of the brush. So, here is a makeup tip: spray your brush with some setting spray before you pick up your shimmering eye shadow – girl, your eyelids will shine brighter than your Patronus! 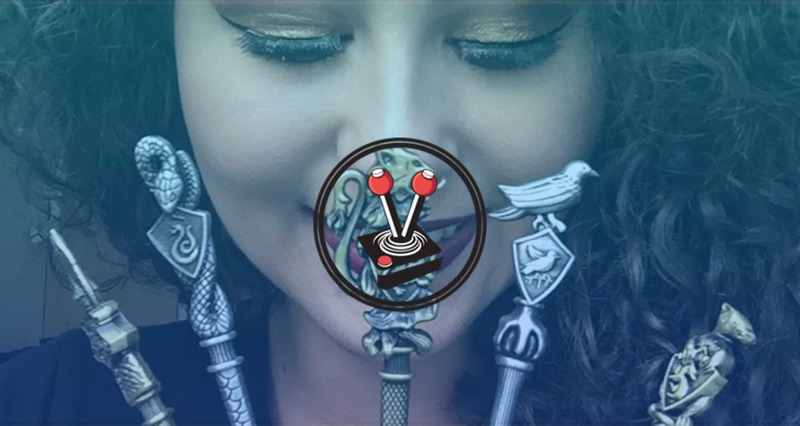 If you would like to own a set of these magical Hogwarts Houses Makeup Brushes; then you can purchase them on the Vamers Store for about R580. If you do, be sure to tag us on social media. We would love to see your very own magical ‘Harry Potter Makeup Look’. Also don’t forget to hashtag which house you have been sorted into.